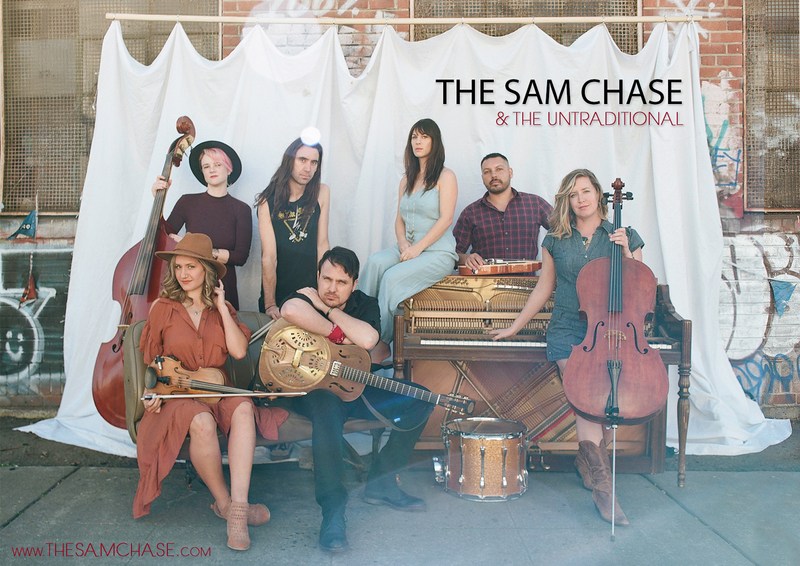 THE SAM CHASE & THE UNTRADITIONAL is a band of accomplished Americana musicians from San Francisco. This group of men and women bring an enormous level of energy and joy to the stage as they perform the songs of the band's writer and front man, The Sam Chase. Sam is a natural storyteller with a voice that sounds as if it has weathered many an epic tale, and he leads the band in adventures every night. 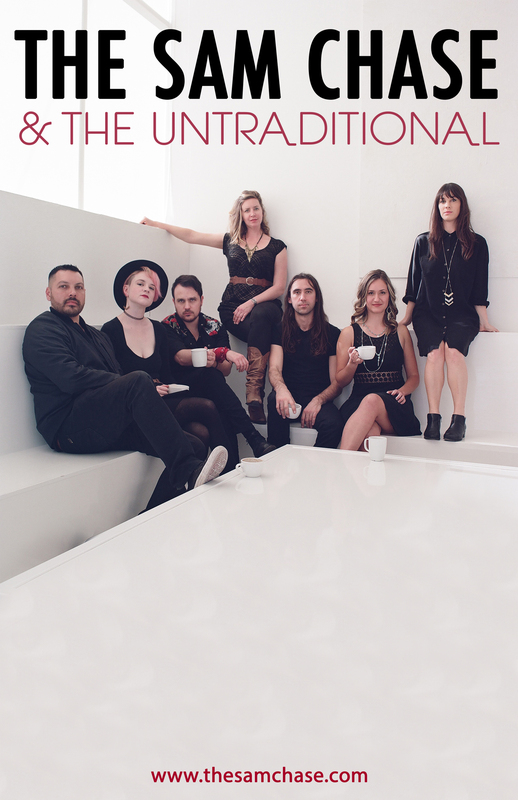 Available as full seven-piece band, four-piece, and strings only (no drums). As a solo performer, The Sam Chase regales crowds with stories and songs. Happy to supplement shows by offering workshops and more.